Buyers who already own at least one property should have to dig into their own pockets for a higher downpayment for their subsequent purchase. The issue of whether an asset bubble is forming has become a hot topic in a number of countries in Asia these days. Hong Kong, China and Singapore have sounded the alarm on skyrocketing property prices and are worried that a bubble could be building up and will lead to a market collapse if the north-bound prices are left unchecked. When an asset bubble happens, prices for a broad spectrum of properties would have escalated beyond the affordability of many common folks. The price increases are not due to fundamental demand but are being artificially pushed up by speculators. This is what is happening in the “hot” property markets in the region today, and their governments are scrambling to cool the market down with tightening measures such as stricter mortgage loan policies and higher deposits for purchasers. While some parts of the world, notably the western countries, are still facing the likelihood of a double dip in their economies, Asia has made a notable recovery in the past one year. The low interest rate environment, high liquidity and an under performing equity market are fuelling a growing appetite for property investment among Asians who are renowned for their high savings. The danger is that when interest rates start to rise and affordability is affected, demand may start to shrink. The bubble will then burst and result in falling asset prices and a market collapse. The same issue has been raised about the state of the local property market. 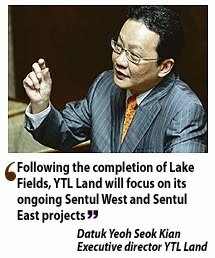 Will the run-up in the prices of houses in some parts of the Klang Valley, Penang, and Johor, be a prelude for prices to jump in the other broader property sectors and other parts of the country? 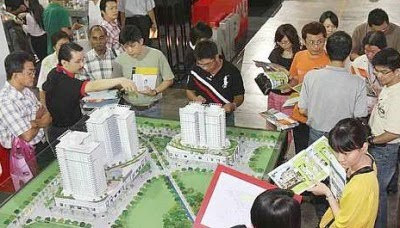 Although the current price spike is still quite contained within the higher end landed residential sector in sought after areas, some concerned parties have voiced concerns that it may spell trouble for the local market if the situation persist and a contagion effect takes place. Those who are pressing the panic button are pointing their fingers at the speculators for the huge price increases through “property flipping” activities. By buying and selling within a short time, the main aim of these speculators is to push prices up and pocket the profits. They worry that the bubble will burst when it becomes too big and unsustainable. The bursting of the bubble will send prices tumbling and property values will be washed down the drains, causing much unnecessary losses. Those who say there is no immediate danger believes the price increases of housing in the country are not across the board but are contained in only the “hot” areas. To them, some degree of speculation is actually quite healthy and will not harm the market. Although there is no confirmed figure on the exact percentage of speculative buying in the local market, the prevailing low interest rates and easy financing schemes are indirectly churning out more speculators in the market. Unlike genuine investors who usually keep their properties to be leased out for long-term rental income, speculators are those who flip (buy and sell) their properties within a short time for quick profits. It is common knowledge that there is a growing number of people (with extra cash for investment) who are pooling their resources to buy up multiple housing units (both apartments and landed) for profit-making purposes. They are hoping that their “investment ventures” will yield substantial profits for them in the current market run up. Excessive speculation is unhealthy as it will unnecessarily burden genuine property buyers who find themselves being priced out of the market. It will be a good time for the respective state housing authorities to churn out more public housing projects to meet the needs of the lower income population. National House Buyers Association honorary secretary-general Chang Kim Loong laments that with the steep prices, only the rich, especially foreigners, can afford to buy. He urged the Government to introduce some kind of a price-control mechanism for houses – a threshold to help curb speculation. He also suggests a lower mortgage loan limit (below 90%) for subsequent purchasers. It is undeniable that some first time house buyers may still need the financing assistance to make it affordable for them to own a property. To ensure the new measures do not unnecessarily burden genuine buyers, especially first timers, some flexibility like allowing a loan limit of up to 95% should be extended to these buyers who meet the banks’ credit assessment criteria. The easy financing schemes offered by developers and their panel of bankers should be phased out for upper medium to high-end houses. Those who are taking advantage of the facility to speculate in multiple properties should not be granted “the free hand” to manipulate the market for their own gains. Deputy news editor Angie Ng believes all stakeholders – from house buyers to developers and the regulatory authorities has a role to play to upkeep the sanctity of the market. Prior to this sharp run-up on prices, the middle income group could afford a certain type of housing, in a certain location. Of late, the group discovers that this has gone beyond their reach.